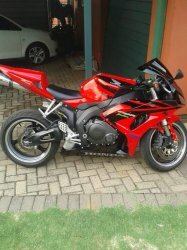 2007 model in excelent condition 43708 km on the clock R65 000 neg. Price negotiable. The bike is in very good condition and has excellent tyres.